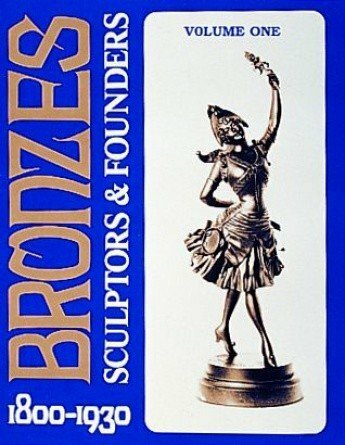 This is the first volume of the definitive reference series dealing with commercial bronze sculptures in the period 1800 to 1930. This period spans the rise and decline of commercial industrial foundries in Europe, especially in France, and a wide array of international sculptors. 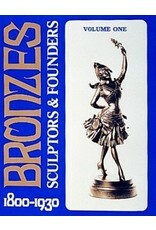 Together, they produced millions of fine statuettes for the general public. Volume 1 includes 799 photographs of sculptures on 224 pages with essays on specific topics of identitication and caring for bronze. It incorporates lists of the sculptors whose work is shown, the founders represented, 24 different founders’ seals and an index to this volume. The photographs are remarkably clear enabeling small details in the sculptures to be visible. With this reference series, collectors will be able to identify many of the old commercial bronzes found on the market today.